@thatakke Hey Akke - thanks for your comment! We've actually got Google login now (login with gmail), and I'm looking to add additional methods of login going forward. Just tried it out, was skeptical that an AI tool can give me feedback on my resume... but it was extremely useful in the end. Got 75 out of 100 and few things pointed out that I actually agree with, so need to revise it a little bit. Would be interesting to see how the overall score grows. @ivan_podgurskiy Thanks for the feedback! This is such a fun product to use. I haven't updated my CV in a long time but thought to give it a try. Got a 70% score! The feedback on it made perfect sense and got a lot of tips on how to improve it too. 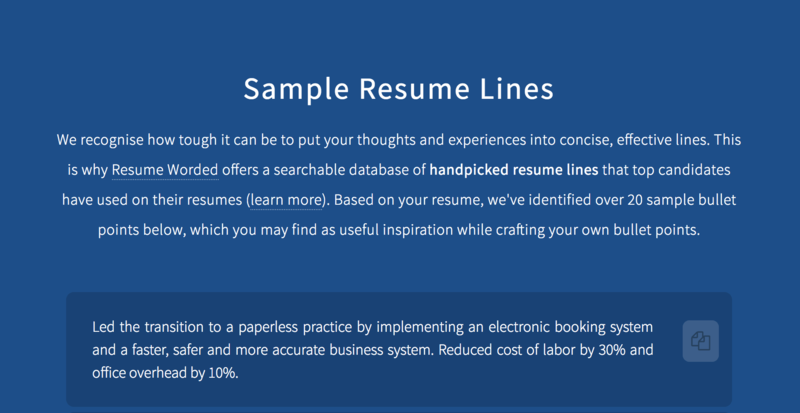 This tool could be incredible for people actively looking to improve their CV. Scanned my resume and amazed by the analysis and result. Nice product. @keyul Thank you so much Keyul! I really appreciate it.